SUV vs WAGON - Which vehicle suits you best? — Auto Expert by John Cadogan - save thousands on your next new car! 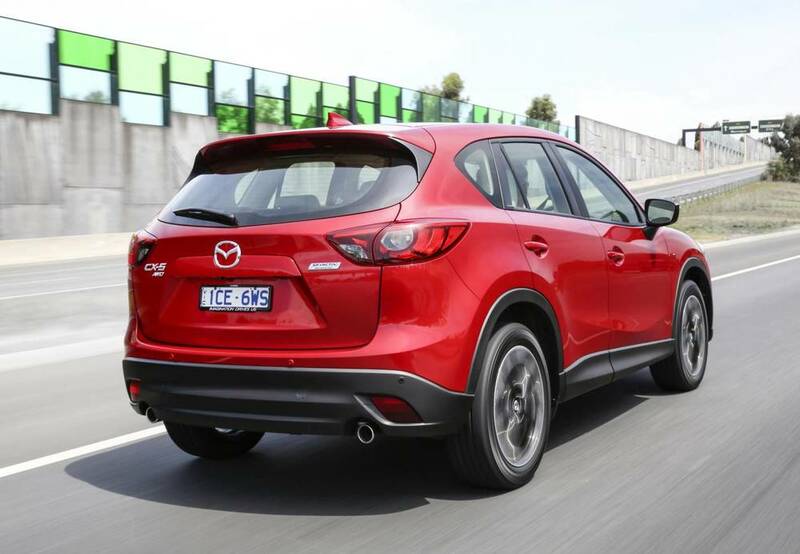 Is the CX-5 or the Mazda6 wagon a better deal for Aussie families? Hi John, I am looking at getting a new family car to replace my ageing Holden Commodore SV6, which I've really loved. With local car manufacturing here in Australia ceasing in the near future, I'm going to look beyond the traditional large Aussie sedans. I have not really considered an SUV in the past because I have no off-road intentions. Also, I enjoy spirited driving (but not over the top, and traction control remains ON). When I look at SUV prices they seem to be 25 per cent 25% or so more expensive than the equivalent hatch or medium car, depending on whether you're looking at a compact or family size SUV. Anyway, that's the background. 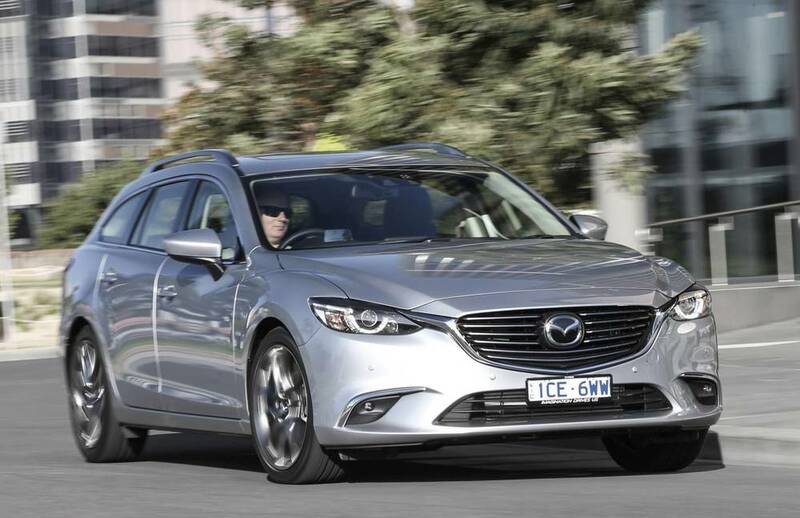 Is there a discernible benefit to owning an SUV for family transport, over a car like the Mazda6? What have I overlooked that the rest of the world understands? For mid-$40ks I could buy a decent spec Mazda6. They seem to look good, steer well, have heaps of room, and return decent fuel economy. For the same price, I could buy only a pretty basic SUV that doesn't drive as well, doesn't offer any more space, and will have poor performance at that price point. What am I missing? Of course, if you did have the odd camping trip on the cards, the SUV might be - marginally - more practical there. Realistically, though, the main benefit in the off-road stakes is ground clearance. You'll ground a car on the high crown of a dirt track that's basically two wheel ruts in plenty of situations where the SUV will remain clear. Bear in mind that CX-5-style SUVs are built for very light duty off-roading, not heavy stuff. In most cases the SUV has a slightly better towing capacity, too. None of this sounds like they're significant factors in your purchase. For people with mobility issues (bad backs, prosthetic hips and knees, arthritis, etc.) SUVs are often a practical choice because the seat height is close to the standing hip height, which means you don't have to climb up or down to get in and out. 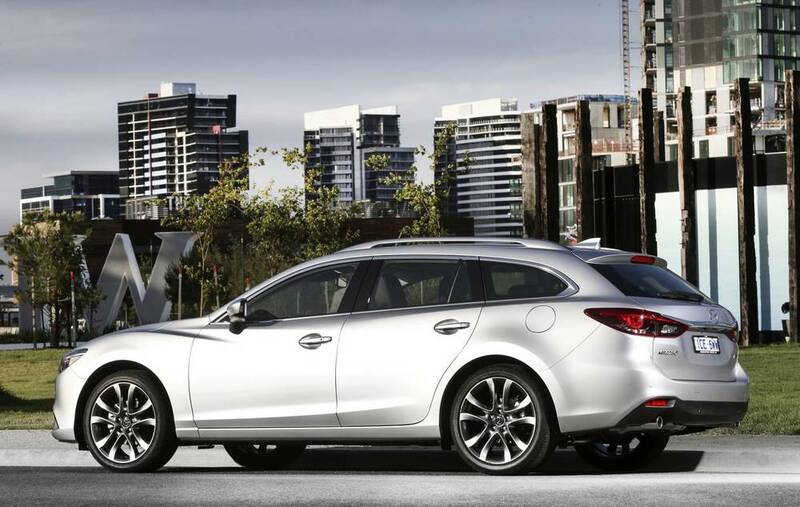 For mid-$40k you get a very nice Mazda6 wagon indeed. But the reality is SUVs are much more popular, and that’s just an irrational preference - people simply prefer them. (It's a global phenomenon, not just in Australia.) Many people think SUVs are bigger, when in fact, all they are is taller. Let's take a look at what you can get in each segment in the mid-$40k (RRP) ballpark. As you can see, the vehicles are very similar. The similarities certainly outnumber the differences by a mile. Both vehicles feature the same powertrain and key standard equipment - but the Mazda6 is a better drive because of its lower mass centre, and better tyre specification. On the family practicality front, the Mazda6 also has more cargo space - at least more practical cargo space. Admittedly the CX-5 is higher, which is useful for bulky, boxy items, but in reality the longer cargo space in the Mazda6 will win the practicality game because it's often difficult to pack the vehicle to the ceiling (safely) without a cargo barrier installed. (The Mazda6 is 26cm longer than the CX-5 - almost all of that in the cargo space. CX-5 is 23cm higher - but bear in mind the floor is higher as well as the roof, so that's not all translated into additional vertical loading height. The Mazda6 is also more fuel efficient - by 12 per cent. Mazda's sales went off the pace slightly in 2014 (down about 2440 units, from 103,144 sales in 2013 to 100,704 in 2014 . Drilling down into that a little further, Mazda6 sales fell proportionally more than that in 2014 - down almost 25 per cent from 7701 sales in 2013 to 5883 in 2014. CX-5 sales actually increased slightly in 2014 - up 7.2 per cent from 20,129 in 2013 to 21,571 in 2014, despite the model being in the 'pending' tray for a mid-life makeover, which it received in February 2015. So, at this time, Mazda is looking to consolidate generally, and regain the ground it lost in 2014. 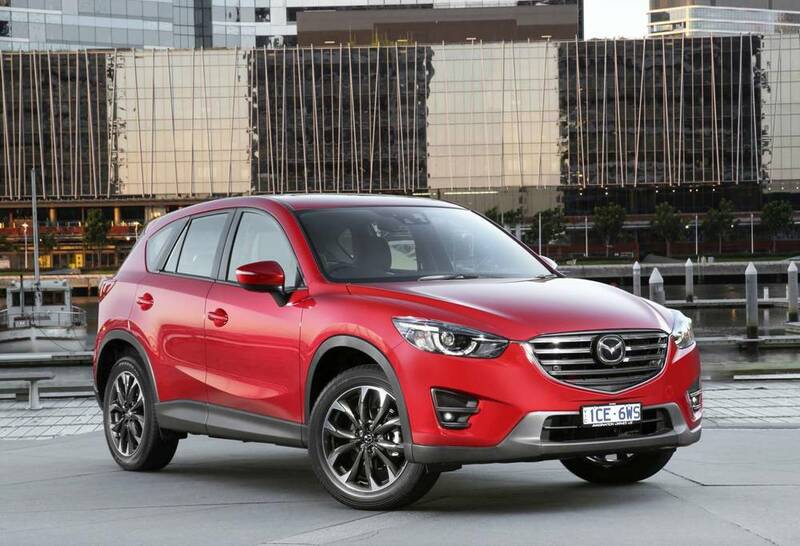 The new Mazda CX-5 is here, and demand for it will presumably be high for the next several months, but Mazda6 sales are soft and there should be solid opportunities to get good discounts on the Mazda6 - especially cars that are in stock now at dealerships. Let me get the team from the brokerage to call you ASAP to discuss how to get the best possible price on a new Mazda6 in your preferred specification level. They'll get a bunch of dealers to tender for your business, effectively driving the price down. Thanks John, appreciate the note. I always enjoy listening to you on Radio 2UE in Sydney and reading/watching your reviews online (though I thought you were a little harsh on the Holden Cruze! My wife and I bought one in 2012 – Australian build – and its been a fantastic little car. It’s the gutless 1.8-litre petrol, but with a five-speed manual its quite fun to drive as long as you don’t expect to move quickly. Using your left leg and changing gears really overcomes a lot of the problems the 1.8-litre was blamed for.) I spoke to Ben from the brokerage this morning about the new Mazda6 - he was really helpful. Thanks for putting us in touch. No worries Matthew. Admittedly not every Cruze is defective - but I get many e-mails from ‘never again’ Cruze customers. I hope your wife's Cruze keeps going fine, and good luck with the Mazda6, which is a really well built, good value and capable car.